Both amino acids are popular for recreational and competitive athletes. Arginine & Ornithine are 2 amino acids that compliment one another to detoxify the body of nitrogen compounds and support muscle health. 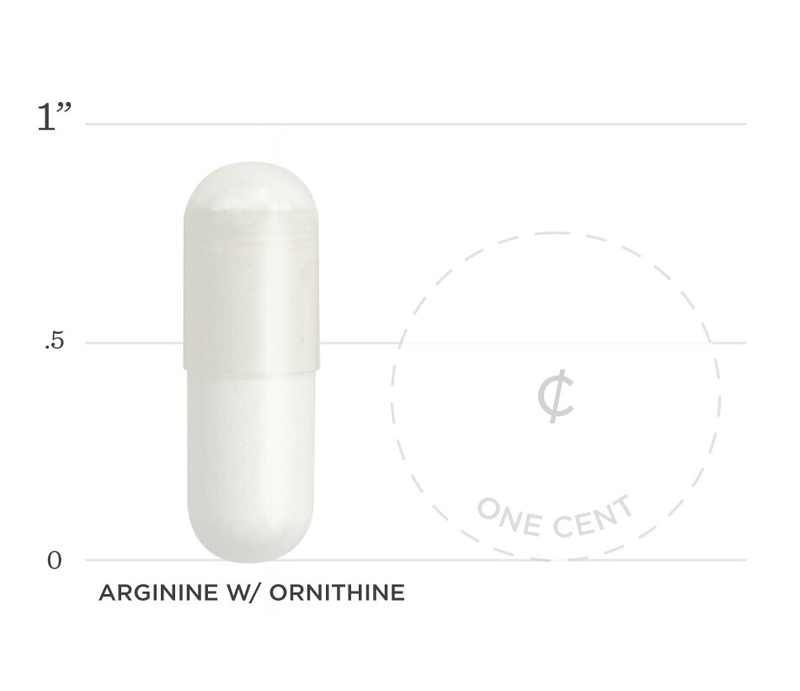 Research suggests using arginine with ornithine together can improve lean mass and power output while decreasing muscle soreness after hard exercise. 1. Elam RP, Hardin DH, Sutton RA, Hagen L. Effects of arginine and ornithine on strength, lean body mass and urinary hydroxyproline in adult males. J Sports Med Phys Fitness. 1989;29(1):52-6. 2. Kimball SR, Jefferson LS. Role of amino acids in the translational control of protein synthesis in mammals. Semin Cell Dev Biol. 2005;16(1):21-7. 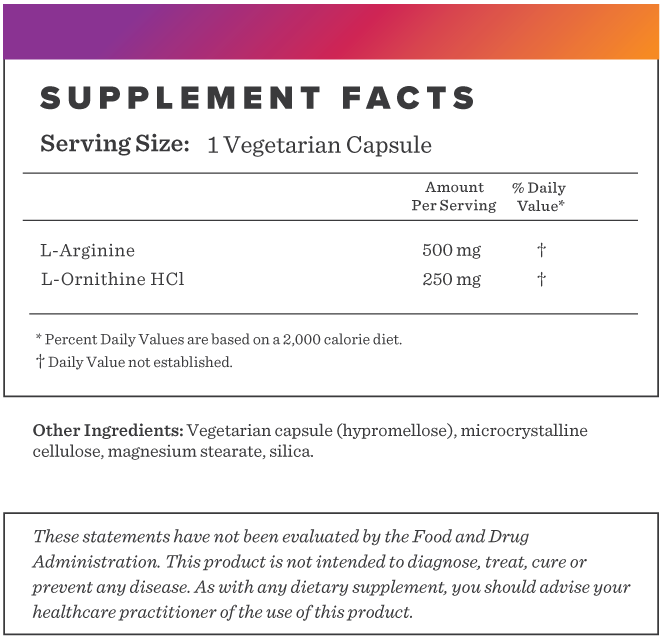 Below we've broken down the main functions of our Arginine w/ Ornithine and the benefits it can provide. Research shows that both arginine and ornithine not only play a role in building proteins, but also support strength and lean body mass. These amino acids may aid in tissue breakdown recovery. Arginine and ornithine are both precursors to building proteins in the body.